As students head back to class for the fall quarter, we asked several faculty members to offer a sneak peek into their courses. Below, award-winning dancer and choreographer Lin Batsheva Kahn, an instructor in The Theatre School and the College of Science and Health, discusses her courses on modern dance, creativity and adversity, and reveals how her professional experiences inform her teaching. This is the second in a three-part series. View last week’s post to learn about a new course that explores Hurricane Katrina 10 years later, and check back next week to hear details about a science course on Pope Francis’ encyclical on the environment. Follow the DePaul Magazine blog (see sign-up at top right) to receive notifications of these posts and others in your inbox. What’s it like to be a student in one of your courses? 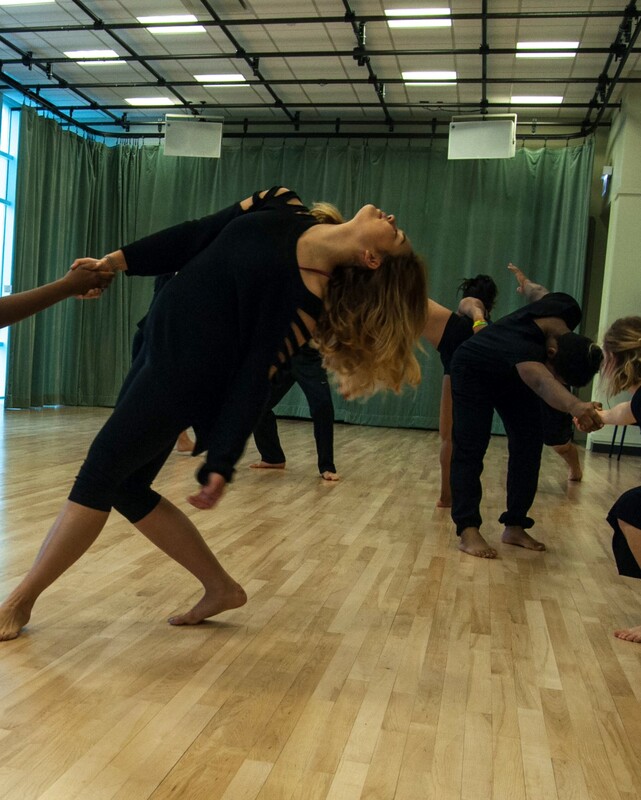 In my modern dance courses, I strive to create a positive environment to explore and express original movement, the hallmark of this dance style. 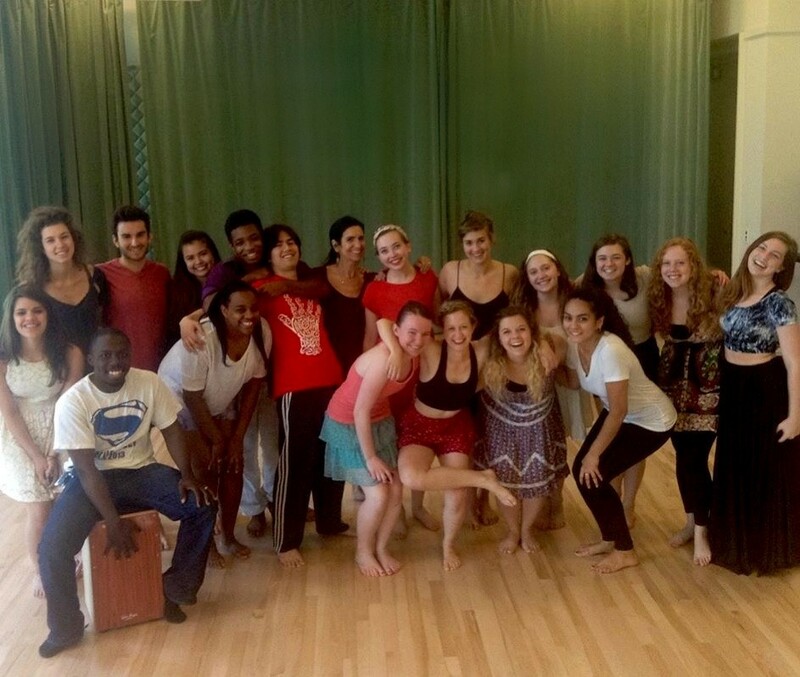 My goal is to teach dance from the inside out, helping students understand the principles of good technique, individual and group improvisation, intelligent dance-making and how to critically analyze dance. How do you combine physical and academic elements in your classes? In my sophomore seminar “Diversity in Dance: Paradigms Shifting,” I start with a framework that builds on creative and critical thinking. A memorable quote from Ben Franklin encapsulates my teaching style: “Tell me, and I will forget; teach me, and I will remember; involve me, and I will learn.” I believe meaningful, long-lasting learning develops out of active student participation in thought-provoking discussions and improvisational exercises that incorporate concept-specific movement. Students affirm that my experiential learning is refreshing and effective in helping them understand, integrate and apply new concepts. In addition to your courses in The Theatre School, you teach “Creativity and Adversity” in the College of Science and Health’s psychology department. Tell us about that course and the inspiration for its development. “Creativity and Adversity” is an interdisciplinary course that integrates psychology, religious thought and the arts. We look at fine art, music and dance in relationship to the positive defense mechanism of sublimation, and we consider great artists who created art against a backdrop of personal adversity. The course is intended to be a catalyst for students to uncover the wellspring of creativity within and help activate the creative self-image that will serve them well when faced with hardship. For the final project, which I call “transcending works of art,” students choose a personal hardship to express through any artistic medium. Recently, I was asked to deliver a WTTW PBS-sponsored lecture on this topic. 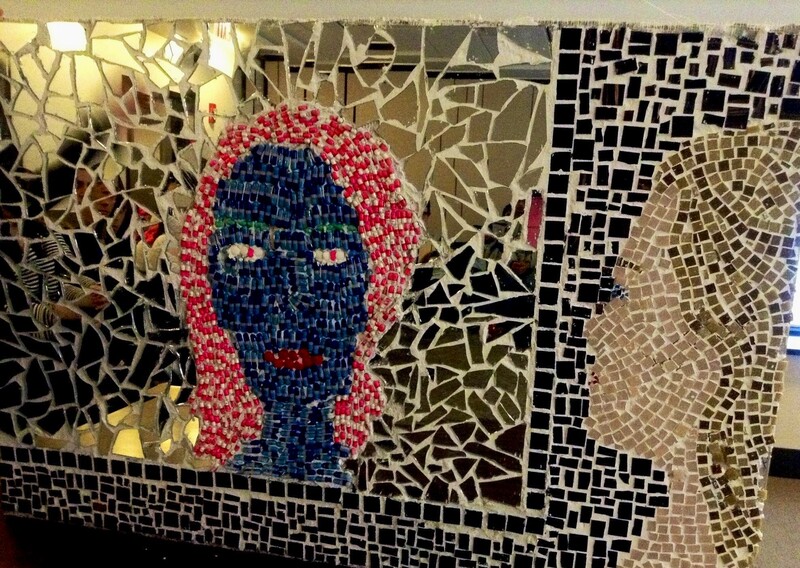 In my talk, I shared a mosaic created by a freshman student who sublimated her physical illness through a self-portrait in pills and shards of glass (see below). Personal adversity inspired this course. When I was in graduate school, my beloved mother passed away. I wrote my thesis on the relationship of creativity to grief and explored those concepts in a performance piece. The thesis was strong and the choreography I created was my best work. I wanted to develop it into a course, and it turned out to be a perfect fit for the Focal Point Seminar in the First-Year Program. Does teaching make you a better performer in certain ways and vice versa? Yes, teaching does make me a better performer. Through articulating dance principles, I discover more depth and details about the dancing body. I discover new ideas when I’m teaching for my own choreographic work, and teaching technique keeps my own technique strong. Performing makes me a better professor because I actively do what I teach. My instruction is not coming from the theory of the art alone but from practice—from an ongoing love and high regard for dance as an expression of the intelligent body/soul and a vehicle of meaning. What was your favorite course at DePaul? Share your thoughts in the comment box below!